Our Air Flow Trim Covers have all the unique qualities as our Air Flow cover, with a TRIM new fit and adjustable rise setting! The Air Flow Trim cover is to be used with the Sandy's™ Trim Fit diapers to create a highly breathable, leakproof diapering system. 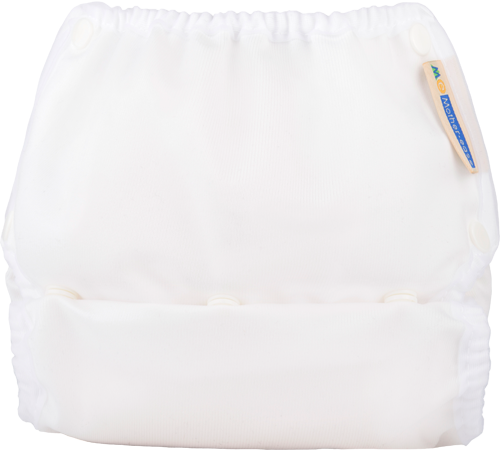 The Air Flow Trim is a lightweight, breathable waterproof diaper cover designed for our new Sandy’s Trim fitted diapering system. - Available in 2 adjustable sizes: Small (7-20 lbs) and Large (20-35 lbs) to match our Sandy’s Trim perfectly! - Adjustable Waist and Leg snap settings for a secure, tamper-proof fit – keeping curious babies out!